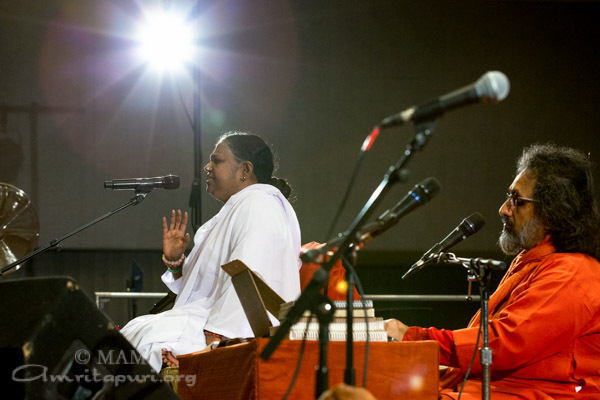 For Amma, every person matters, and no one’s problem is too small for her attention. 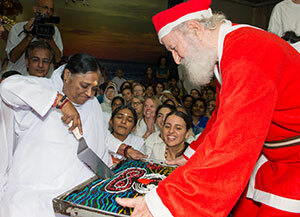 Despite giving darshan to thousands of people, guiding the ashram residents in both spiritual and practical matters, and personally guiding the many humanitarian projects of Embracing the World, Amma still finds time to listen to three little girls explain their sides of the story after a spat: it’s difficult to say who hit whom first, and after hearing them out, Amma makes clear that’s not the important point. 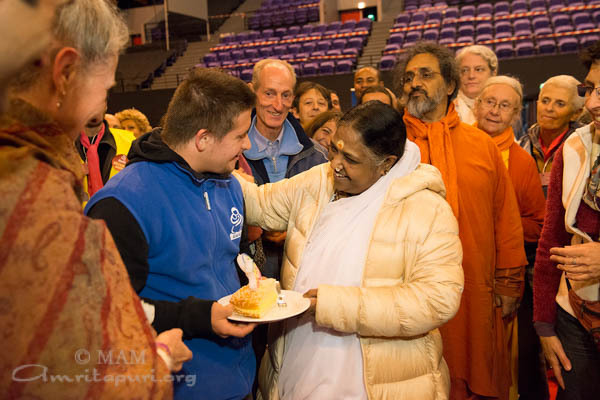 Rather, Amma gently admonishes all three of them, while showering love and affection on them each in turn. 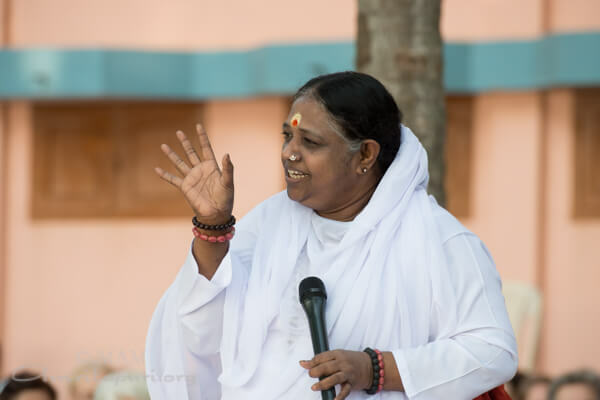 To the girl who wished to be called “Chechi” (a respectful term for “older sister”) Amma gently explains that respect needs to be earned, not demanded. 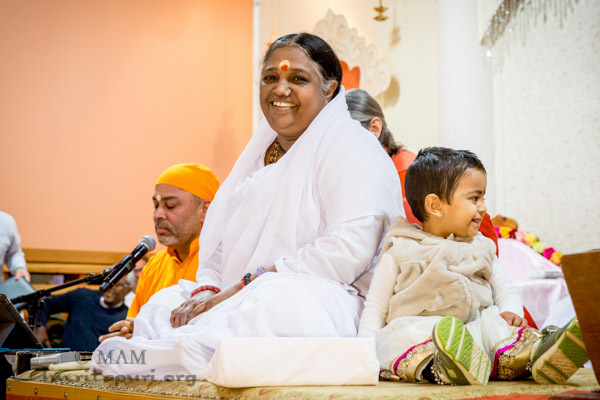 She also teaches them about the importance of being truthful, and de-escalates the conflict by offering to mediate future disagreements as soon as they arise. 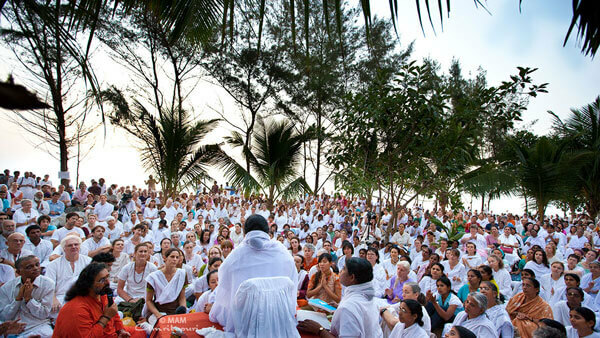 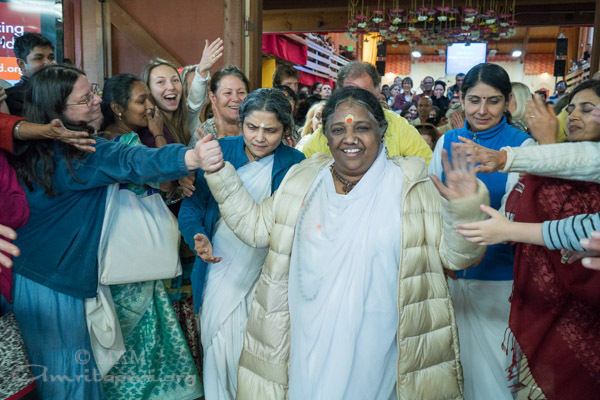 Watch the video to see Amma interact with each of these girls as if she has all the time in the world. 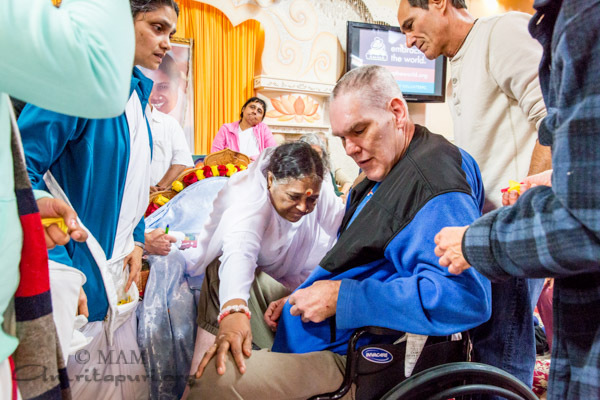 This incident happened in the last week of August 2015 at Amritapuri. 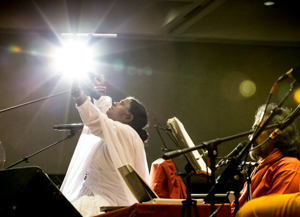 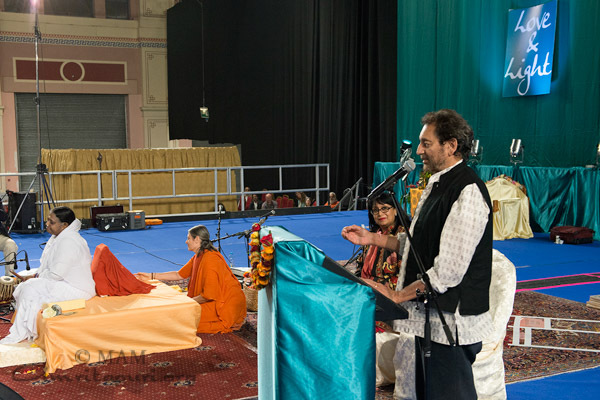 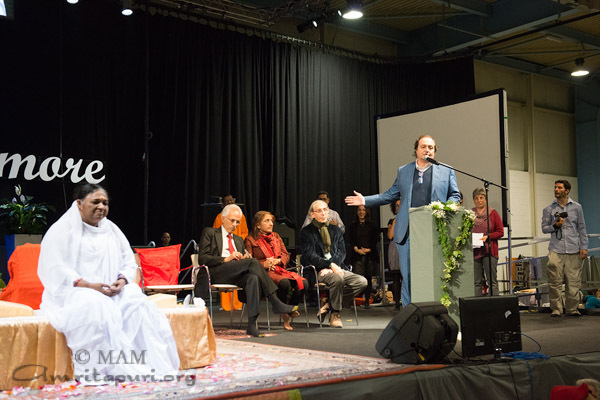 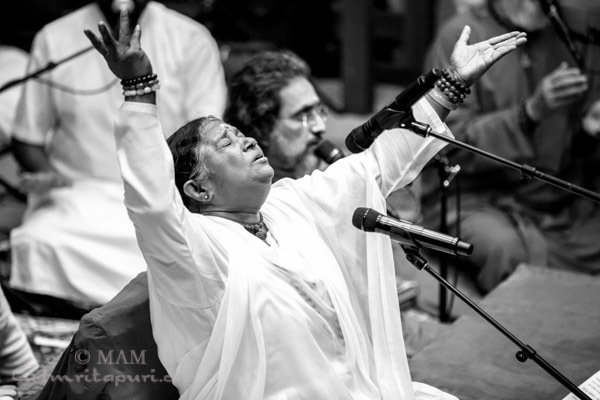 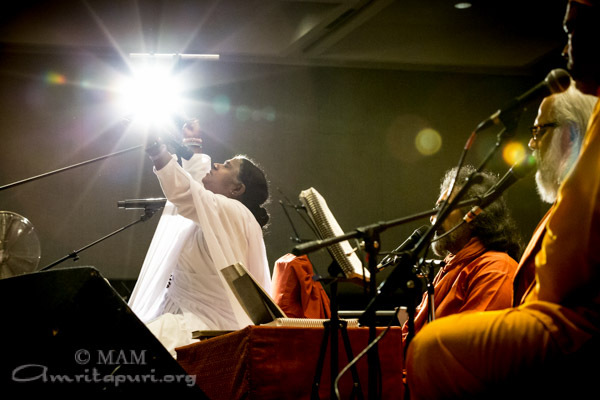 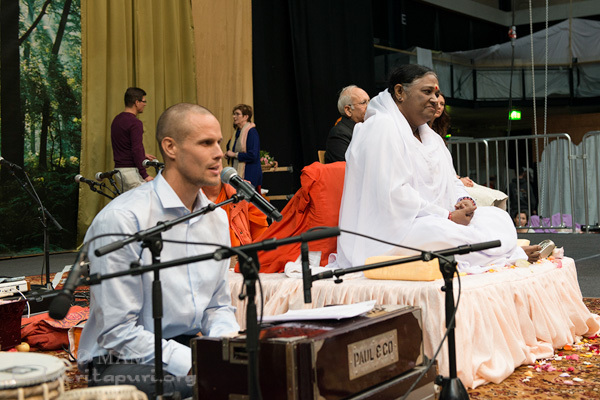 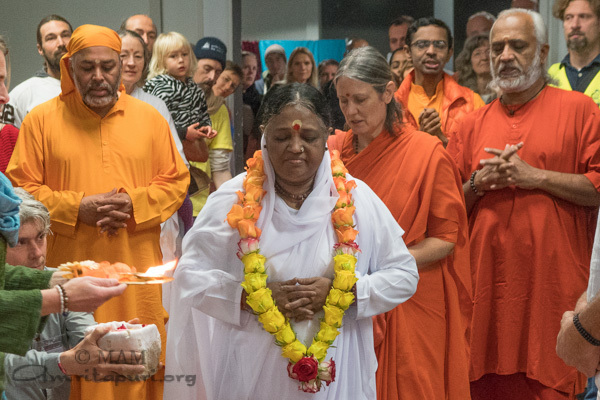 After three days of programs in Holland, Amma next travelled to Helsinki, Finland as part of her 2015 European tour. 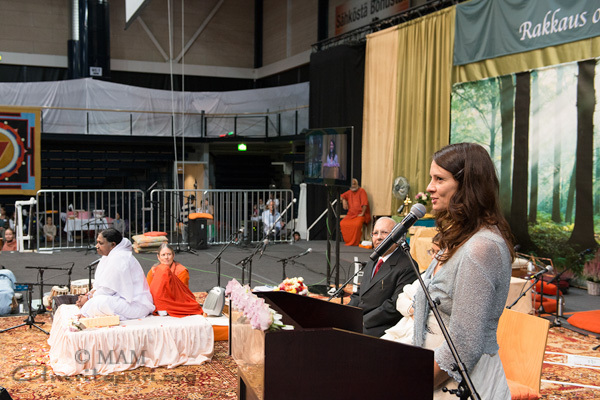 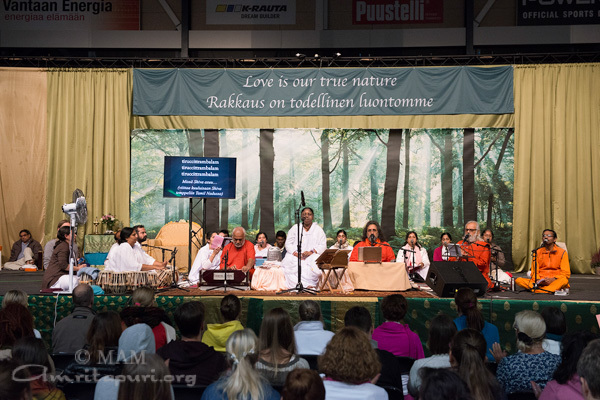 On the first evening of Amma’s program in the Vantaa Energia Areena, the occasion was honored by Ambassador of India to Finland and a renowned Finnish TV personality and wellness coach Kirsi Salo. 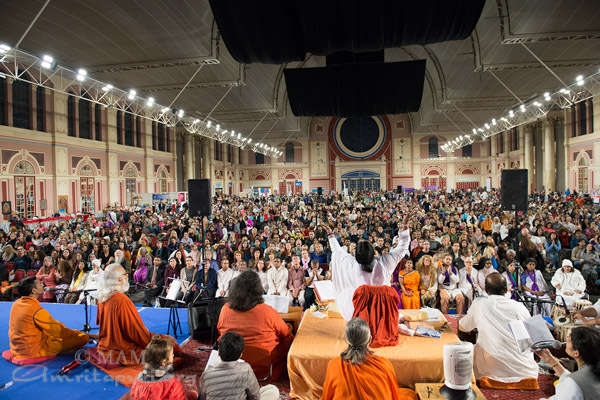 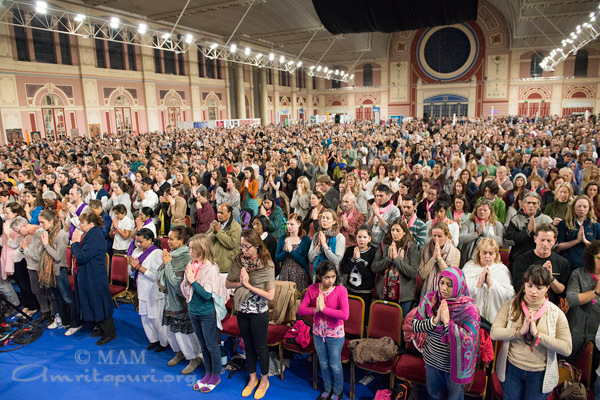 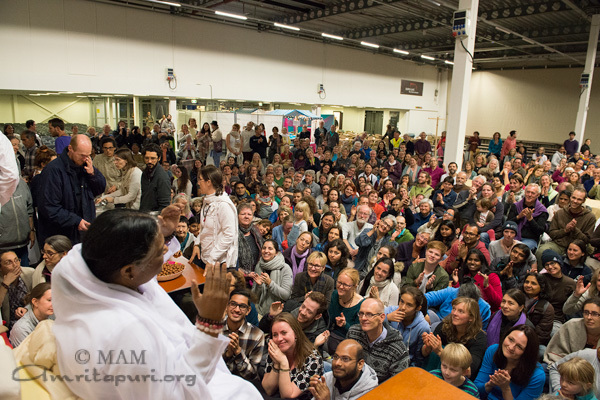 People from all over northern Europe (Amma’s satsang was displayed in Polish, Russian, Danish and Finnish) braved the freezing temperatures outside to come meet Amma. 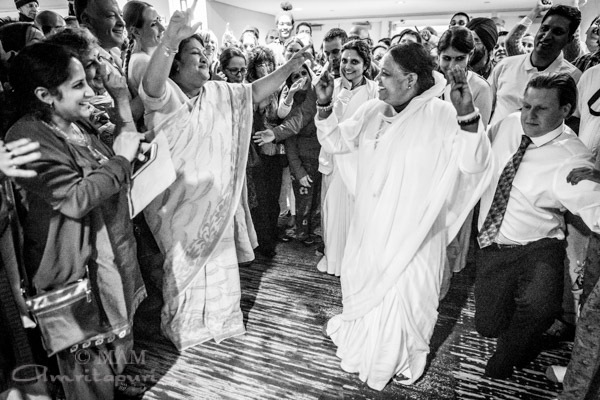 Inside the hall there was nothing but warmth as everyone happily left after receiving Amma’s embrace. 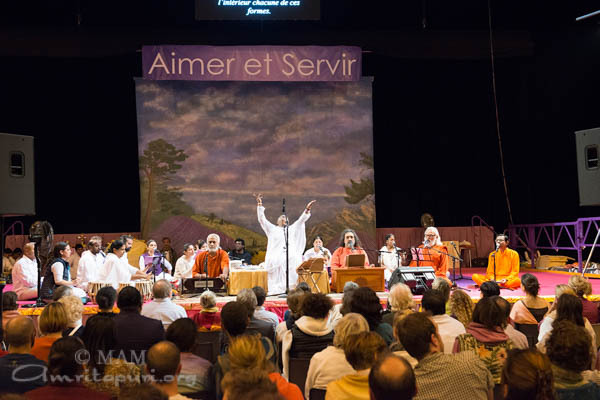 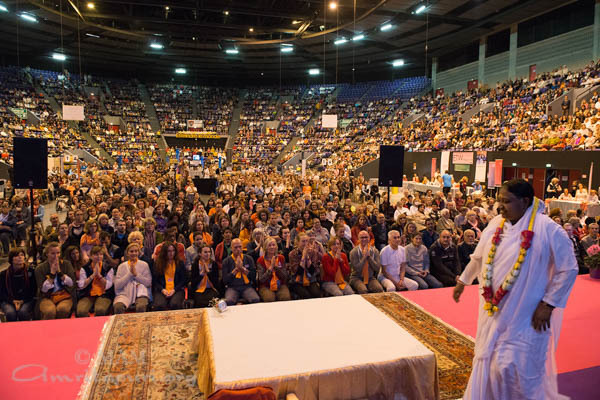 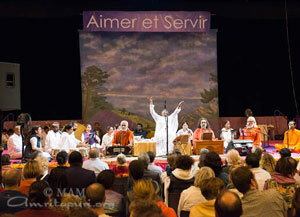 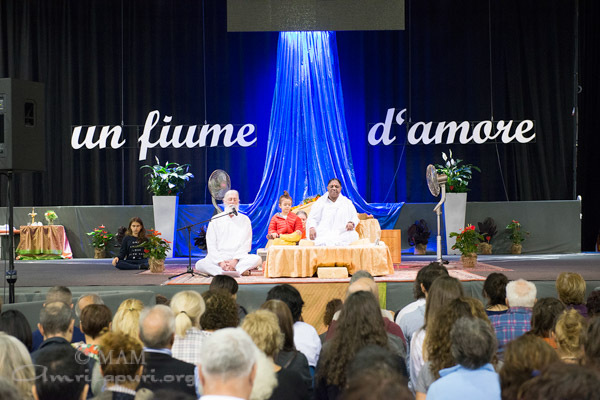 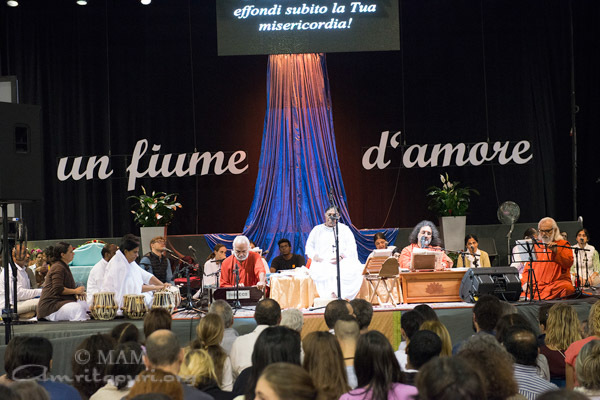 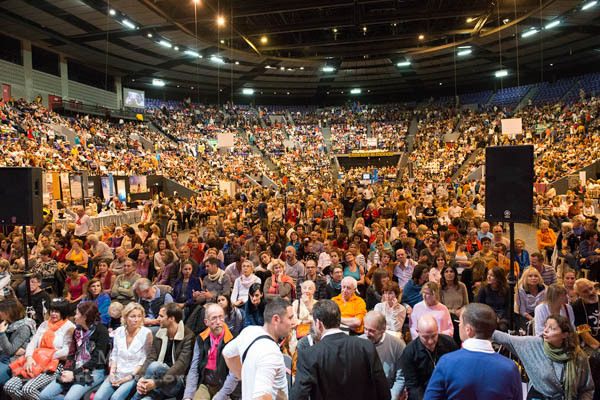 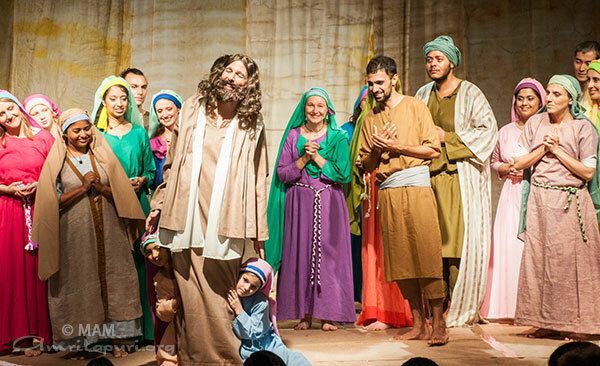 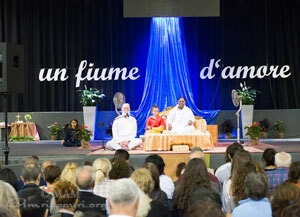 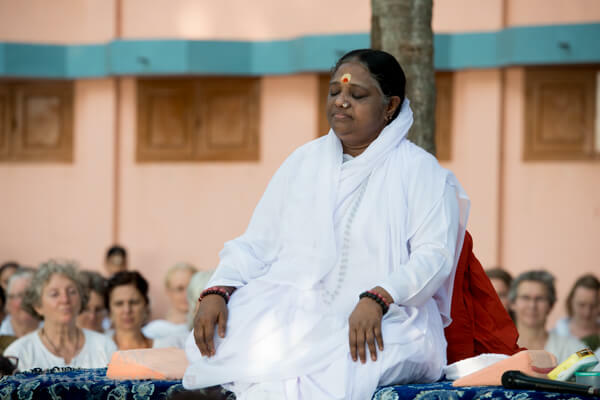 Amma next travels on to the south of France for the next stop on the tour in Toulon, France. 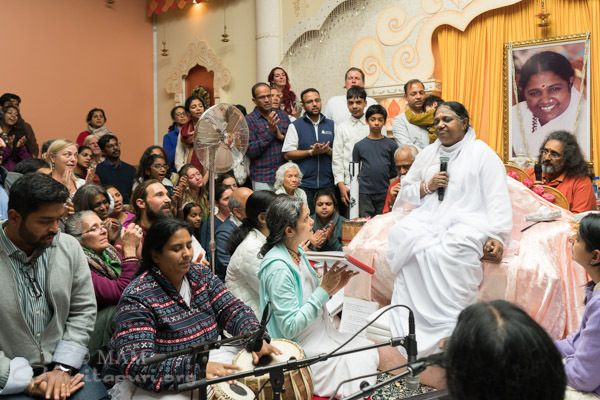 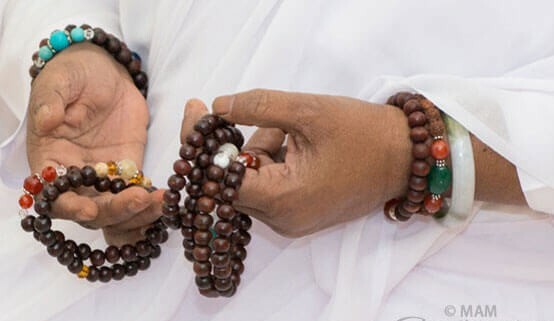 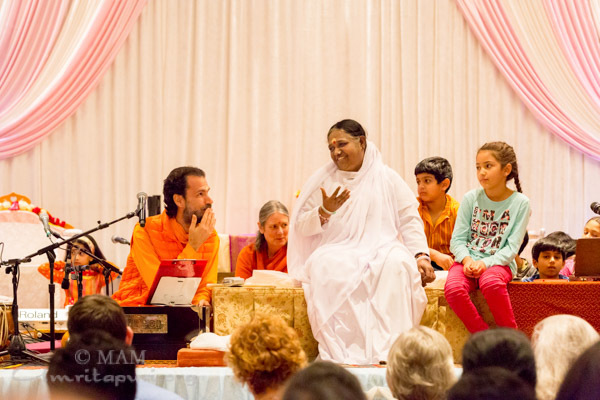 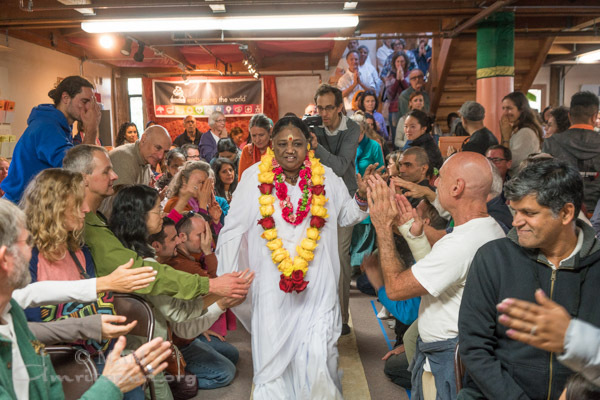 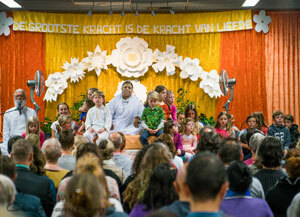 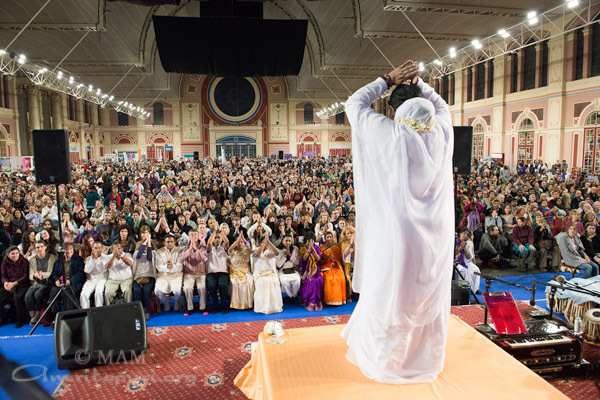 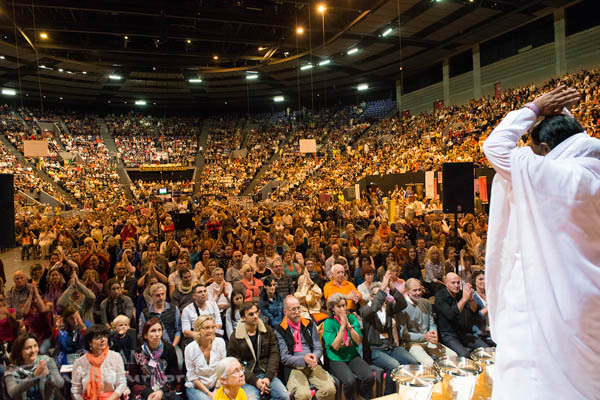 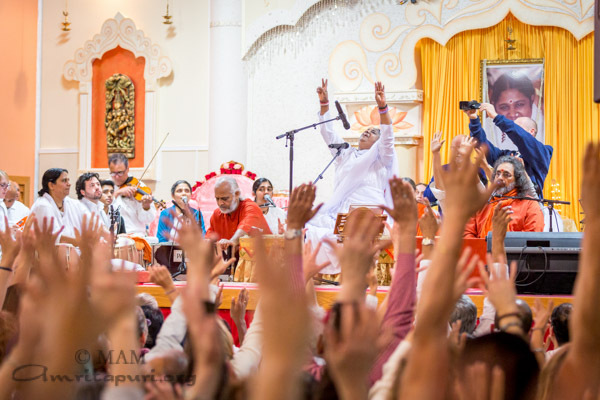 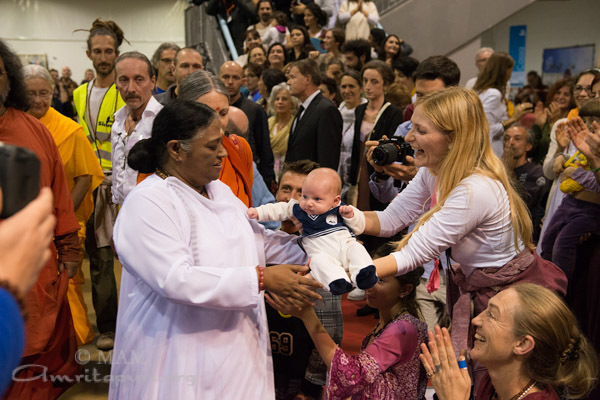 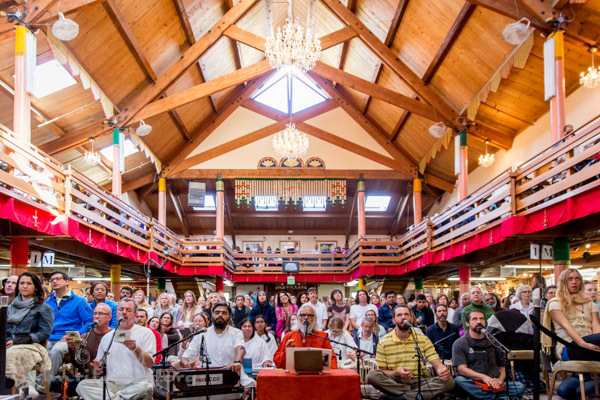 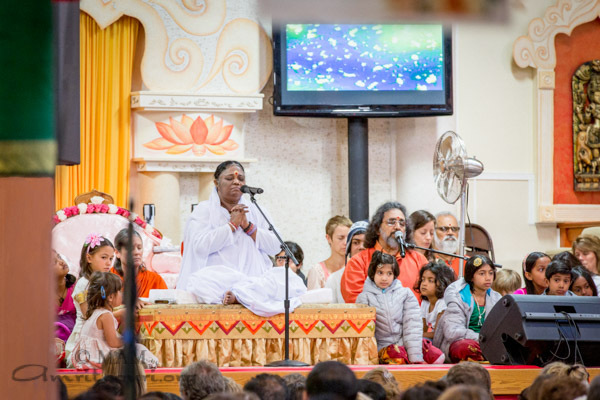 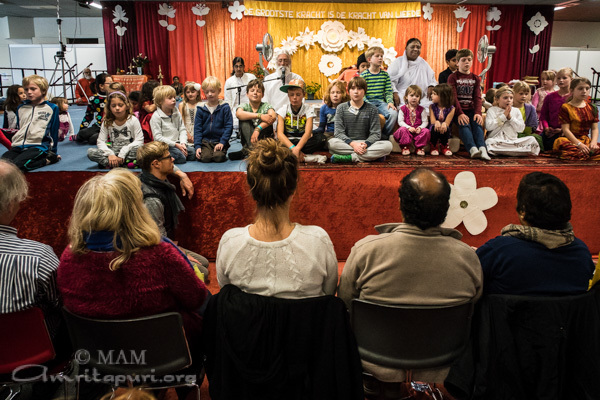 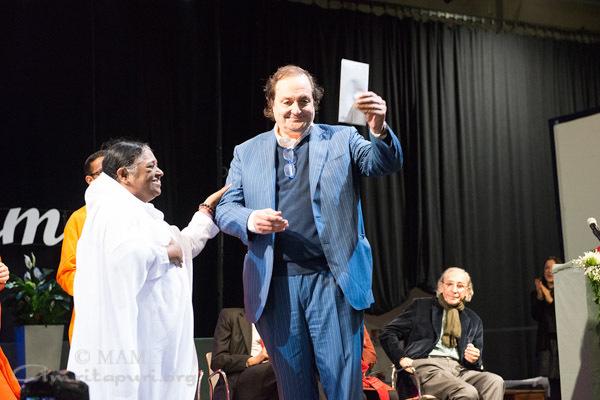 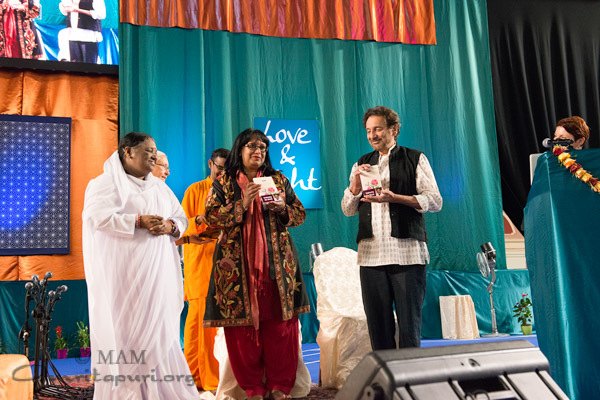 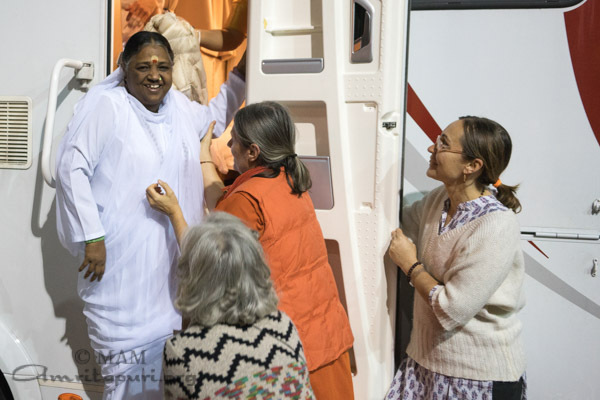 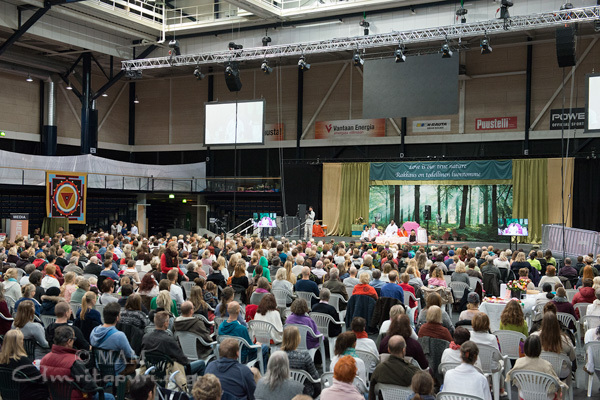 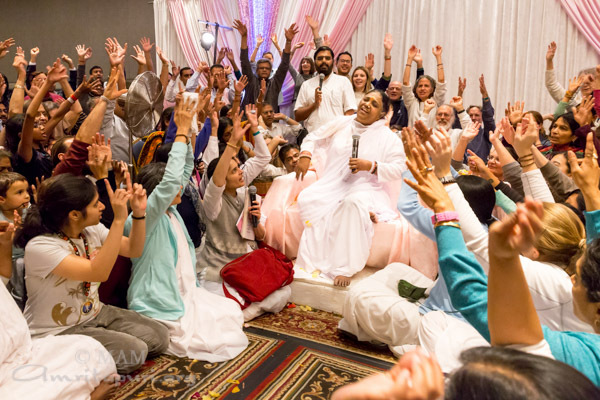 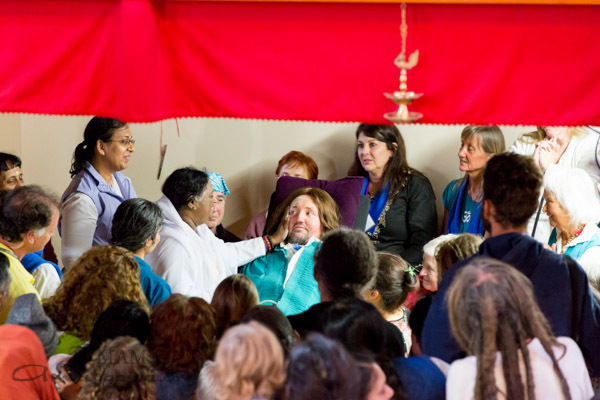 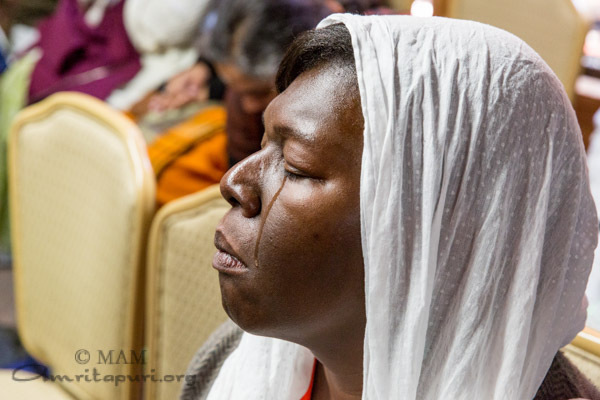 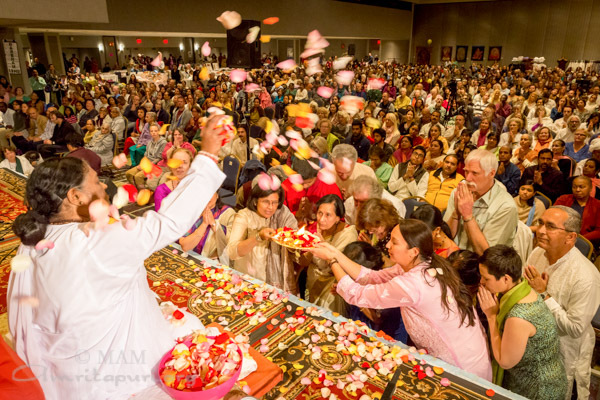 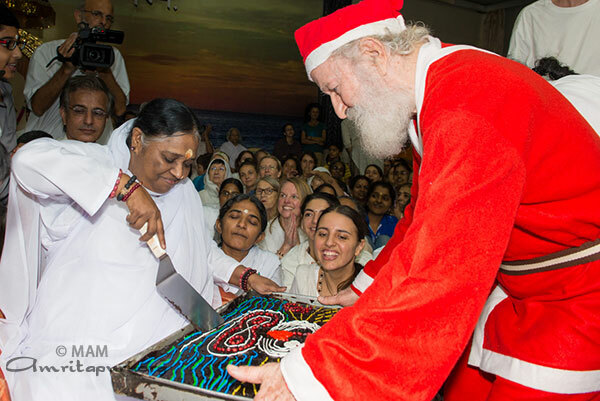 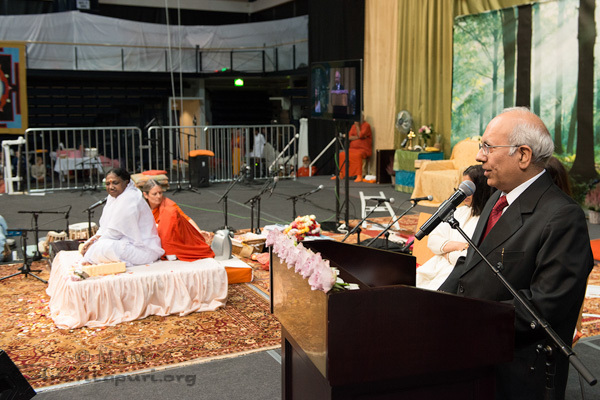 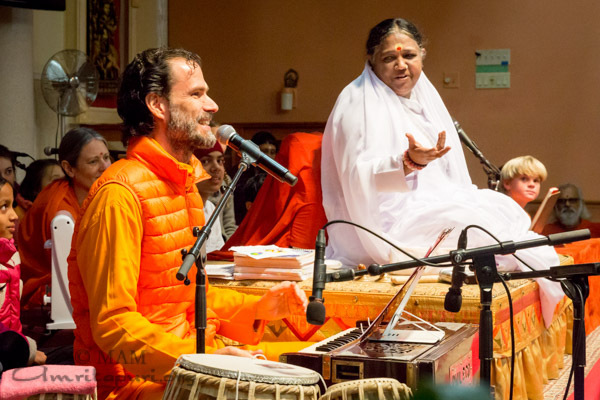 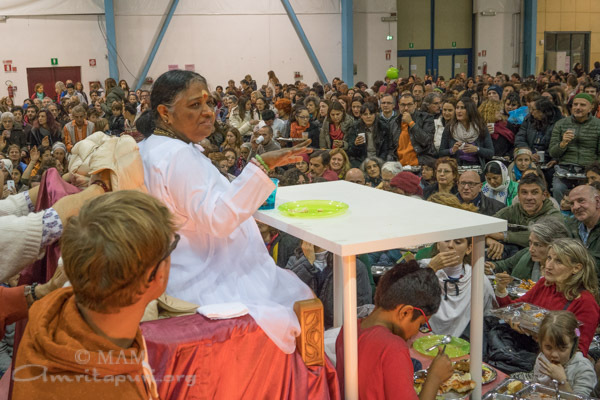 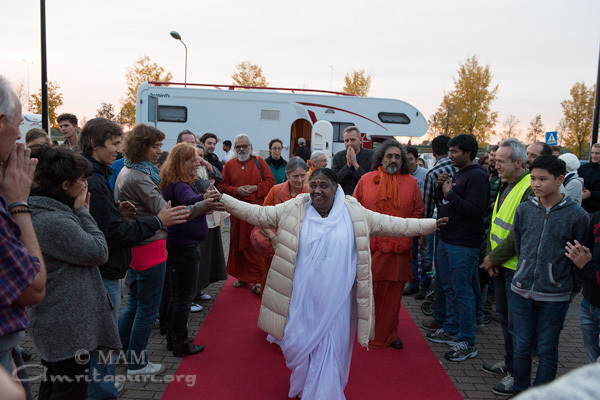 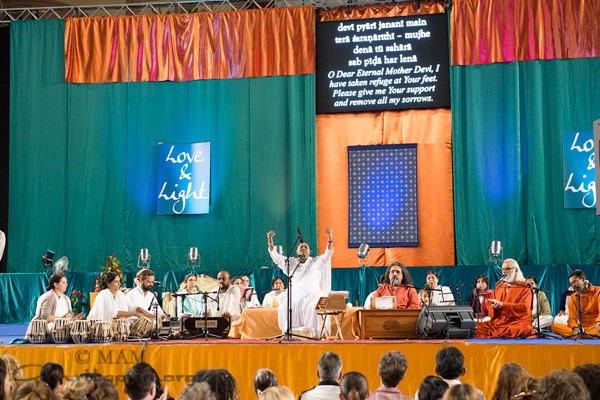 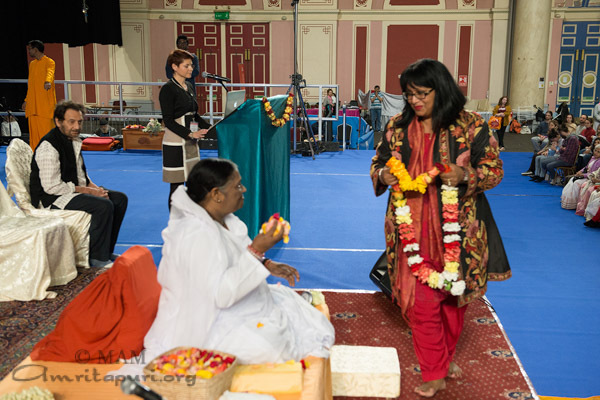 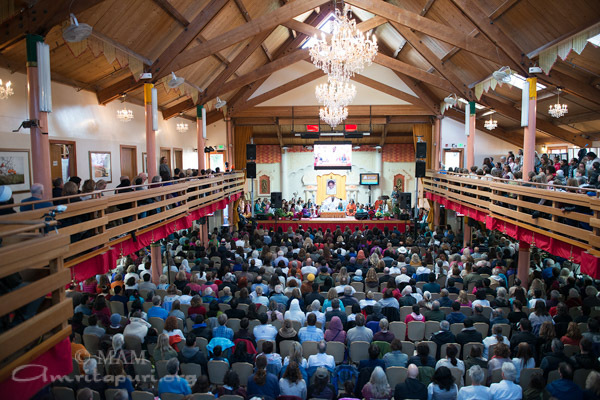 The sixth stop in Amma’s 2015 Europe Yatra was Houten, Netherlands, Amma’s 16th visit to the country. 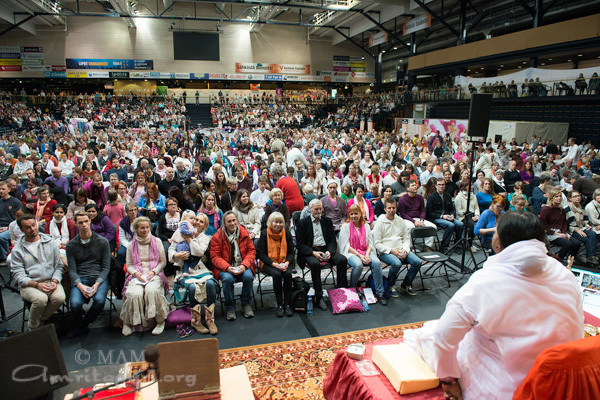 Amma came right after her first program in MA Center Germany. 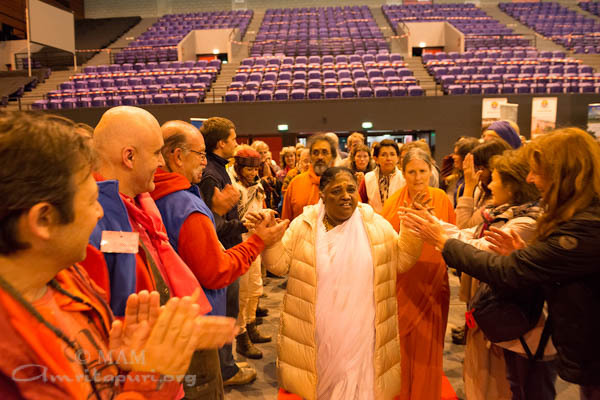 In the two days before her arrival, many volunteers had been busy building up the Expo for Amma’s visit and received Amma enthusiastically. 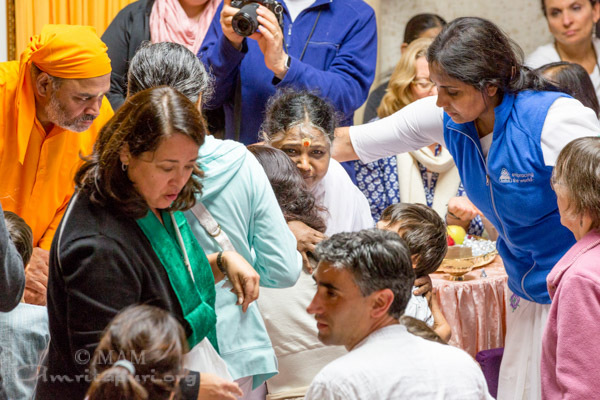 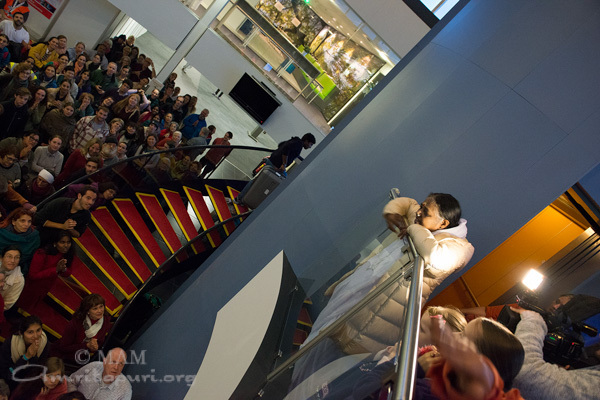 Amma took the elevator to the first floor and was soon standing on the glass balcony where she gazed lovingly at the hundreds of volunteers and the tour group standing on the ground floor below. 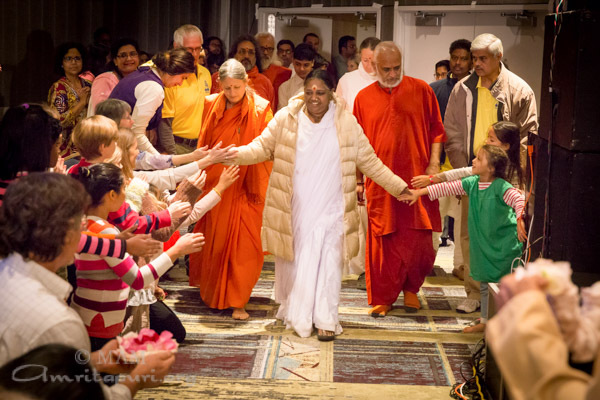 When everybody thought that Amma would go to her room to get some rest, she had different plans. 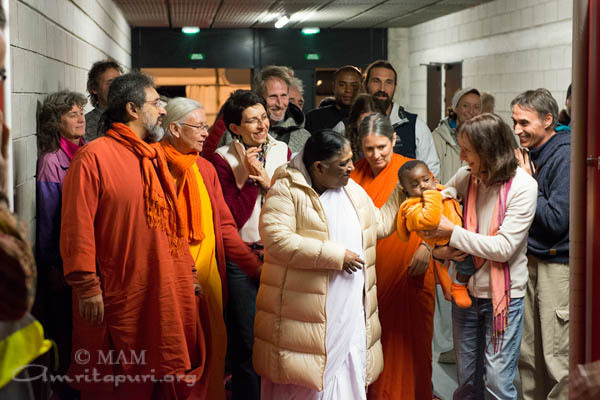 She came down to serve supper to the local and international volunteers, meditated and sang with everybody. 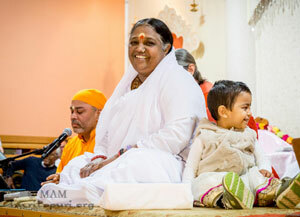 It was a sight to see to a small green lovebird sitting on Amma’s shoulder for a long time, as She sang and meditated. 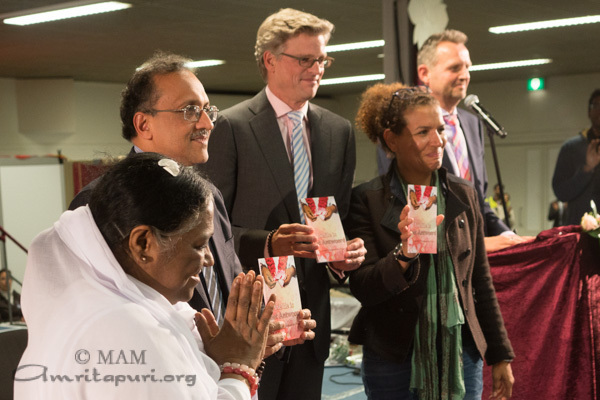 On Tuesday evening October 27, Amma was welcomed to Houten by the Ambassador of India, J.S. 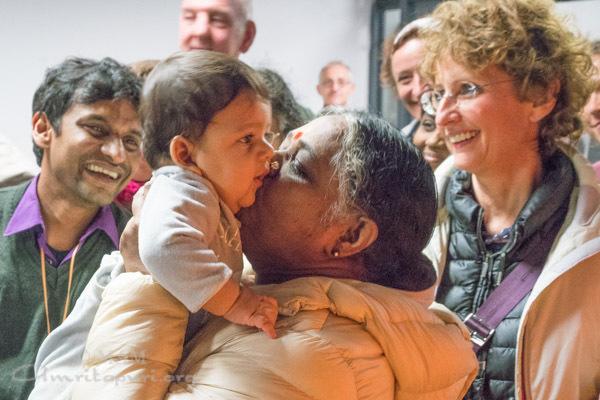 Mukul, the President of VU University of Amsterdam, Prof. Dr. Jaap Winter, and Lucia Rijker, 6-time World Champion in boxing and kickboxing, actress, and coach (featured in the photo below). 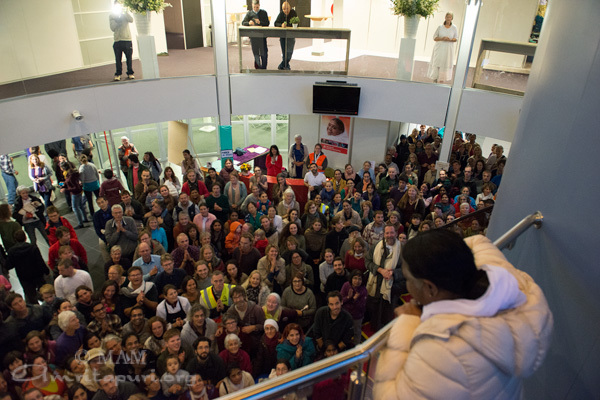 On her way out of the hall after the first day programme, Amma discovered a beautiful table full of the first harvest from the garden of Amma’s Center in Netherlands. 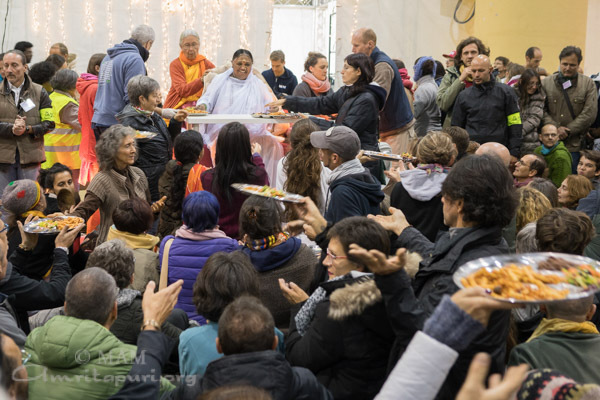 Devotees working in the garden had set up a table with vegetables and fruits that had been harvested from the garden that morning, as well as jam and chutneys made with the harvest. 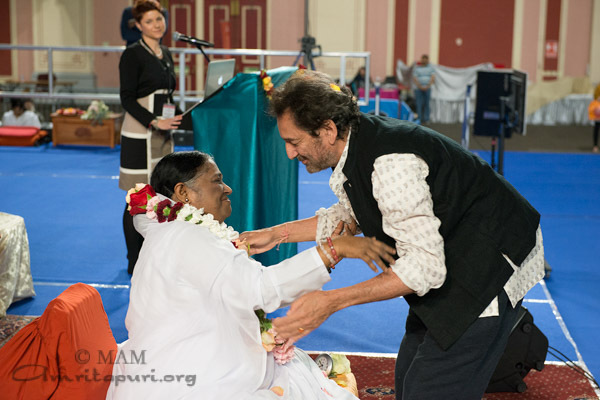 Amma always teaches the importance of producing our own food and loving and respecting nature. The first harvest of the Amma Center in Holland was a testament to this, and consisted of beets, three types of kale, carrots, potatoes, green salad, beautiful wildflowers, chestnuts and much more. 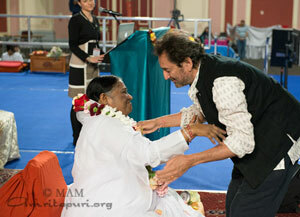 Amma stood at the table for some time, interacting with the volunteers and encouraging them to keep growing. 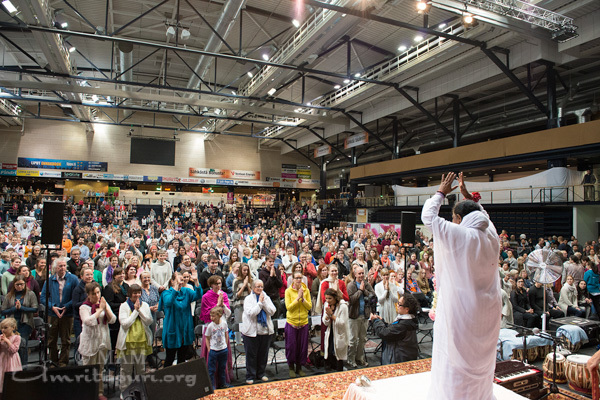 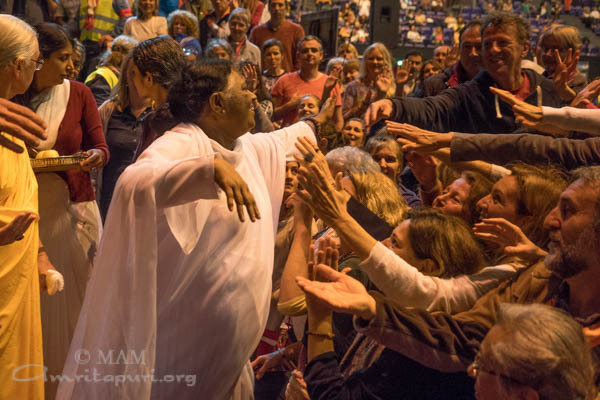 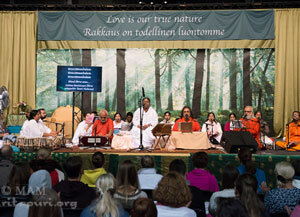 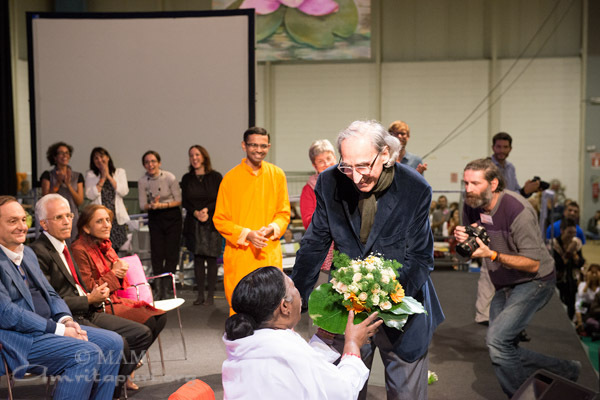 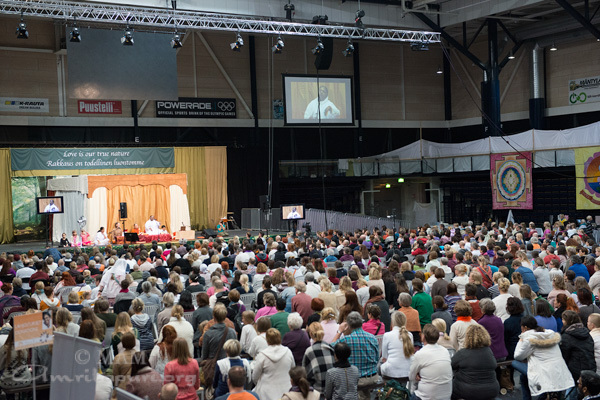 After three days of packed programmes in Netherlands, Amma left for her next stop of the tour – Helsinki, Finland.